David joined The Koptis Organization in 2017 as a Case Design Specialist for the firm. He began his career at KeyBank working as a credit analyst in the community bank where he spent most of his time underwriting and monitoring small business loans for clients under $10MM in revenue. David also spent three years as an analyst in Debt Capital Markets working in the real estate syndications group while focusing on healthcare real estate, residential/commercial mixed-use, and multifamily housing. 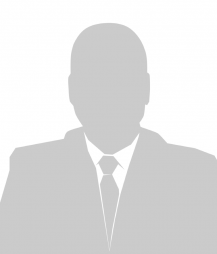 He was responsible for the preparation of confidential information memorandums and pitch books, sourcing and maintaining market information, and serving as a point of contact for prospective lenders throughout the syndication process. David graduated with a BBA in Finance from the College of William and Mary in Williamsburg, VA and currently holds his Series 6 and Series 63 licenses. He is an avid golfer, traveler, and Cleveland sports fan.